* Note: This is an updated and amended version of the original article posted November 23. In the original, we incorrectly attributed an op-ed piece by someone else named Keith Ellison to the congressman. We regret the error. 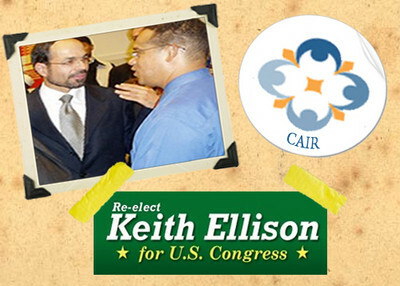 Last month, Ellison took to the House floor to rebuke four colleagues who called for an investigation of CAIR and whether it was targeting offices tied to committees on the judiciary, homeland security and intelligence to place interns. According to the book Muslim Mafia, internal CAIR records show the group sought to infiltrate those congressional offices. CAIR is a front for Hamas: Follow the money.